Is a CEO’s single most important job to build belief? It’s not enough to have a great vision. Great leaders need followers. Without them they are a one-man band and limited in what they can achieve. The skill of a great leader is to unite people behind a vision for the future that they will all work to achieve. In my series of up-close-and-personal chats with New Zealand’s leading CEOs <watch it here>, CEO of Genesis Energy Marc England makes the point, “You win the hearts and minds by presenting a very clear vision that people can understand. CEO of Southern Cross Health Society Nick Astwick makes a similar point, “I really believe in purpose and vision, but at the end of the day it’s pointless if I’m the only one who does. “The power comes from having the people aligned around the right thing but actually even better is that their own personal beliefs are completely aligned around the organisation’s beliefs. Opportunity – People need to see the opportunity. Of Genesis, Marc says, “I think what they’re excited about is seeing a clear destination for Genesis”. But it’s a two-way street. As the people within an organisation start to get excited about the vision, they also begin to empower their CEO. The more people that start to put energy into the vision, the more momentum it gains. “What empowers me and motivates me is when I see employees understanding that end destination,” says Marc, and it is this momentum that drives the change initiatives forward. Both Marc and Nick accept that there will be people who do not get the vision, or who are not excited by it, and as a result a natural procession of attrition takes place as those people go out and seek opportunities that do align with a future they can envisage. As the process of unification and alignment behind the vision gathers momentum, the people within an organisation – the ‘followers’ – take the lead. New products are created and new initiatives emerge. This, I believe, is a tipping point. When everyone believes that the seemingly impossible is now possible, belief becomes reality. In the words of former American Express CEO James Robinson III, “True leadership must have follower-ship. Management styles can vary, but even an autocrat needs people who believe and simply don’t follow from fear”. Is the CEO’s most important job to have a vision? Leaders need to have a vision, a vision beyond what their people, their customers, their share-holders and perhaps even their board might be able to see. This, is their role – to be able to see a future potential that they have the capability to create because, without it, what else is there to motivate their people? In my opinion, the team’s role is to make the vision a reality, but it is the CEOs job to have the vision. Marc has a vision for the future. It is: “To change the way that consumers engage with energy”. Without vision CEO’s, organisations and the people who work in them can do what they’ve always done, but they’re not going anywhere and they will neither succeed, nor survive the changes that are coming. “There are very few industries now that are not in some form of change mode because the world is moving faster,” says Marc. “If I look at different industries around the world this is the one (energy) that I think is going to change the most. There’s two dimensions to what ‘there’ is, says Marc. “One is what the consumers are demanding. The other is what we need to do to in order to develop and protect our energy future. Consumers are demanding more digitisation, more digital interactions; they want to tap things on their phone as opposed to receive a paper bill… but then there’s a bunch of needs that I think consumers don’t yet know they need, and I have a lot of people saying if customers don’t want it, why would you do it? 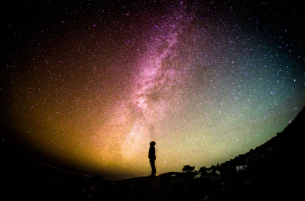 Marc isn’t just looking at what his customers are asking for, he is looking ahead into a future that the rest of us cannot yet see and asking what do my customers and people want, and need, in the future and why? What does the planet need? It’s not just about a customer experience, it’s about the whole future of energy. 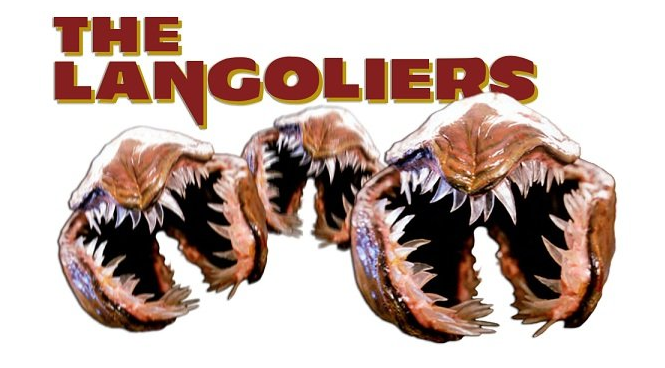 In the Stephen King novella, The Langoliers, people and objects stuck in yesterday get consumed by strange creatures called The Langoliers – creatures that feed on time that has passed. Ten aircraft passengers, who find themselves stuck in ‘yesterday’, have to escape into the future to survive. But they need a pilot to take them there. It’s a nice metaphor, don’t you think? Why do you have to be true to yourself to lead? In the lead up to the 1995 Rugby World Cup, Nelson Mandela (the story goes) had to face down a room full of his peers, colleagues and followers – all of whom are in a meeting specifically to cull the Springbok emblem. He was a lone voice, but he stood his ground. He had a vision for national unity and would not be swayed despite the cacophony around him. The Springbok emblem united the country in the 1995 Rugby World Cup and remains to this day. In the first of a series of one-on-one close-up interviews that Real TV is doing with New Zealand’s leading CEOs, I talk to Southern Cross Health Society CEO Nick Astwick to find out about authentic Leadership. Nick makes the point that a good CEO or leader is true to him/herself. Nelson Mandela remained resolute in the face of dissent that conflicted with his vision, but for many CEOs it isn’t much different. Today’s CEO must manage the demands and expectations of customers, shareholders, board members and their people – all of whom are wildly different. Clearly, to succeed, a CEO must be confident that his or her vision is the right one and that confidence, I think, comes to CEOs who know themselves well enough to find the right organisation to lead – one that aligns with who they are. Nick is clear that a CEO must be authentic. Don’t try and be someone you’re not for the role. You will only be successful in leadership if you are genuinely truthful to who you are. If you try to be somebody you’re not, then you will be caught out very quickly. Nick says it wasn’t until he knew why he wanted to be a CEO, and what type of CEO he would be, that he found a fit with an organisation and a strategy that he could be true to himself. Only then did he become a CEO. In fact, in the video <watch it here> he tells us how he failed to get the top job when he was trying to be something that his potential employers wanted, rather than who he was. I believe it is the inner clarity that comes from knowing yourself and knowing what you believe that allows great leaders to make the seemingly impossible possible. Most people will never see what can be possible until it happens. And while it may seem extreme to suggest that our CEOs and leaders need the level of conviction that Nelson Mandela showed. I believe our best leaders have the same authentic passion for the vision they are leading. It is this that is driving the changes within their organisations and it is this that inspires their people, customers, shareholders and board members. When all these people start to see the vision become a reality they too ask, “Did you ever imagine this?” Leaders that are true to themselves and have vision can make the seemingly impossible possible and that is why I believe we need them. 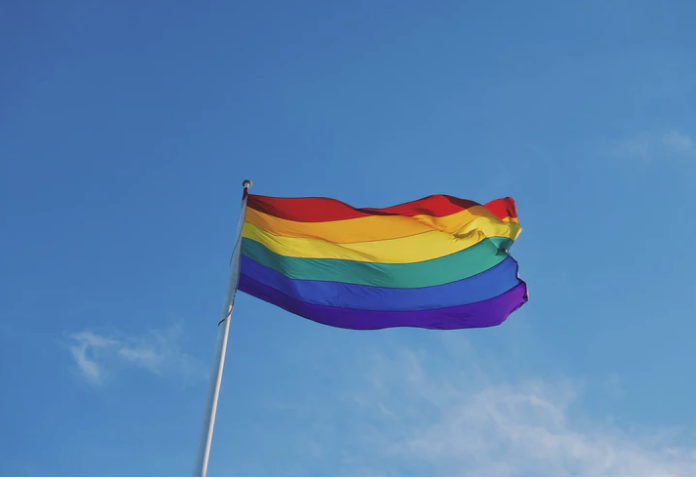 As momentum from the global #MeToo movement reaches New Zealand shores – signalled by recent allegations of a culture of sexual harassment in the legal sector – it may be time for this country to introduce the gender equality equivalent of the gay community’s Rainbow Tick. Incentives always work very well, and a ‘gender equality tick’ programme may be a compelling incentive to drive the change in culture we need to achieve real behaviour change. Rules and disciplinary processes are necessary to protect people, but as a tool for enduring cultural change within an organisation, they are unlikely to be enough. The drawback of the disciplinary process – while necessary – is that people are too afraid to speak up because they think of the social cost to themselves or they are afraid that it might destroy their careers. Far more impactful than just punishing the bad behaviour would be a vision and celebration of mutual respect and equality within the workplace – something people can aspire towards, together with the tools and education to achieve it. In my experience – in working with companies to achieve behaviour change through communication – where undesirable behaviour exists, it is often so ingrained in the culture that most people are oblivious to it or they have accepted it has the norm. Time after time I’ve seen how it is rewards-based systems that achieve better transformation. The equivalent of a Rainbow Tick will be a greater motivation for change. The tick, combined with education – and a few simple measures that people can take to improve their company culture – could rapidly change the current situation. A ‘gender equality tick’ system would help both prospective employees, and customers, make informed decisions about whether or not they want to do business with an organisation – itself a strong incentive to drive real transformation in the workplace. Consumer choice drives business decision making. When the consumer has a choice between two equally good products or services, they may be more inclined to choose a company that is socially responsible. So, when all the information is out in the open, then companies are motivated to do the right thing. Both men and women need to feel safe in the workplace. Processes and workplace regulations are important but change needs to happen because people want it to happen and they’re ready for it. The Rainbow Tick (http://www.rainbowtick.co.nz/whats-rainbow-tick/) is a certification mark awarded to organisations that complete a Diversity and Inclusion certification process regarding whether or not workplaces understand, value and welcome sexual and gender diversity. I believe the Rainbow Tick works because it allows organisations to celebrate their diversity and inclusion. It allows them to tell the public that they’ve got it right, and it delivers both education and achievable steps for organisations to follow so that they can get it right – it moves beyond blame to solving, which can only be good for everyone. If an organisation has a vision and enrols its staff in that vision, change will follow. Enforcement in the workplace can only treat the symptoms, but culture change is far more valuable. In horticulture there is a term called ‘culture control’ that involves using various techniques, like crop rotation, to change the environment into one that is undesirable for pests and diseases – it’s also a made-to-fit analogy for how an organisation can become a place that is undesirable for sexism and misogyny. By putting in place a series of measures – like New Zealand’s pest quarantine system, using resistant plant varieties, ensuring soils are well drained and tools are kept clean – horticulturalists create an environment where plant diseases and pests find it difficult to get a footing. Horticulture calls the practise ‘culture control’, but it’s an apt term to apply in the workplace too. 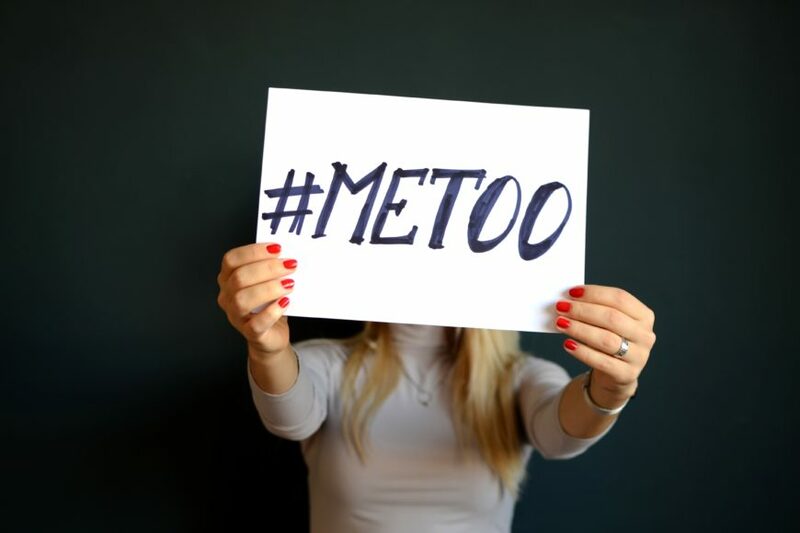 By implementing ‘culture control measures’ in the workplace, we can create an environment in which it is difficult for sexism, misogyny and *‘himpathy’ (the tendency to sympathise with men accused of sexual harassment and assault) to take root. By implementing a series of ‘culture control’ measures in an organisation, chief executive officers and senior management can help shift to a place where gender equality and diversity flourish – a place where each person is valued and rewarded for who they are and their contribution, rather than by gender or race. Importantly, the CEO will be creating an environment that is not conducive to sexism and its darker counterpart, misogyny; thereby achieving lasting change. What are some of the ‘culture control’ measures that organisation’s might consider? A culture of sexism or even ‘himpathy’ encourages the growth of misogyny. Weed out sexism, and misogyny will struggle to take root. Like workplace health and safety – or accident prevention – management could look to run an education programme about why gender equality is important for everybody and how to spot bad habits, sexist behaviour and language (including in the individual personally). This can then be supported with real tools for eliminating sexist language and behaviour, even within ourselves, as well as processes for dealing with issues as they arise. To achieve real change, there needs to be an emotional shift. Sharing video stories about women and some of their challenges, for example, will tap into people’s emotions and achieve meaningful change in attitudes and levels of empathy towards women e.g. put yourself in a woman’s shoes. In horticulture, ventilation is an important aide in temperature control which, in turn, is used to discourage the growth of, for example, mould. The equivalent action may be putting in sympathetic processes and structures for women who need support, as well as disciplinary processes to deal to sexual harassment and misogyny and also some way or forum for women to share (and therefore educate), on things that are not acceptable (this applies to all women, not just a handful from the HR team – it needs to be companywide). Only be creating an environment that celebrates equality and diversity can we begin to realise the true potential of an organisation. *Himpathy, a term coined by Cornell University Philosophy Professor Kate Manne to mean making excuses, sympathy, forgiveness and or exonerating sexist or misogynistic behaviour i.e. “it was a different era back then” is himpathy. 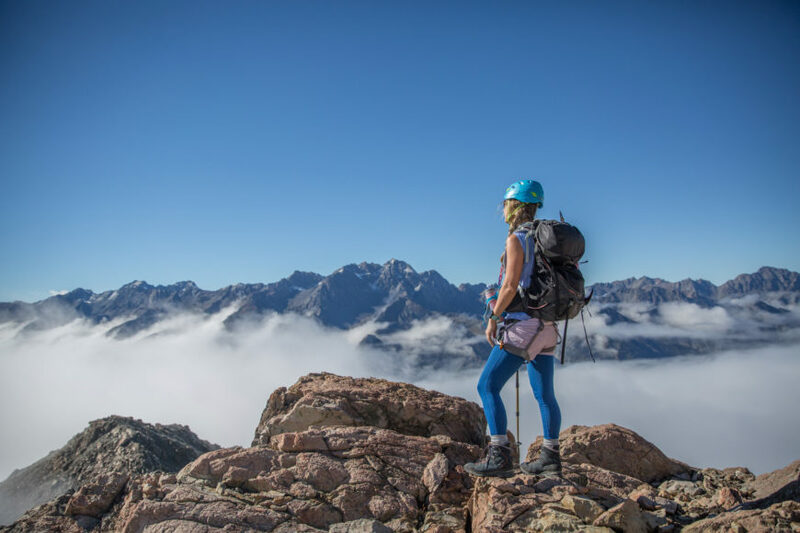 Little did I know (that’s me, the weakest link in our team) that the Mount Cook Range trail – a demanding 3 day alpine trek through the Ball Pass Crossing, would test us all, even the strongest in unexpected ways and only unity would pull us through. After the glacier we had to climb up an exposed section of rock. Steve is incredibly strong and fit and leaves me for dust in every physical activity, but he hates extreme exposure and heights. It is the only place where our roles get reversed. For a brief moment I’m able to be the person that supports him and it feels good. I’m not afraid of heights if I’m climbing because rightly or wrongly I feel that I am in control. I also knew that without a shadow of doubt that I could trust my team with the rope and that should I fall they would have me. But that’s’ the funny thing about fear. It isn’t rational. What terrifies one person is simple to another. We all have our fears and they hold us back. Each and every person needs help – no matter how strong they are – when they encounter their fear. Most people will do everything to avoid fear, but the really courageous go in there anyway. The best teams are the ones that know and understand each other’s fears and support each other through to the end. This is the beauty of a team over an individual. Strengths and fears blend together to make the team stronger. But even though I know all this it was an eye opening experience for me to see the team move to reassure Steve and help him through the extreme heights. No one tried to urge him to go faster. No one was concerned. It was simply about making sure we all supported each other through every section. It’s a group effort and, when the team come together to support each other, they actually reach the goal faster and enjoy the journey. On day 3 it was the loose rocks and scree slopes that got the other two team members. Perhaps my naivety kept me from fear, but they knew all too well that we were surrounded by loose rocks. Any one of which could fall down the slopes at any moment and that we would have to move quickly if it did. What I learned is that when a team is united with a common objective to reach a specific end goal, then everyone has to take into account the various team members and we have to help everyone get to the end. To achieve this means listening to each other’s fears and anxieties, taking the time to understand them and give them what they need to get though. It takes knowing each other’s strengths and being able to rely on the stronger people – in that moment – to support you. Looking back over the three days (see blog parts 1 and 2) I was happy on the exposed cliffs and crossing the glacial crevasses because I could trust my team. I knew that they would do whatever it took to keep each of us safe along the way. All I had to do was play my role and keep putting one foot in front of the other to maintain the pace that our guide set. And the result was that we achieved each section of the pass in record times. Our guide referred to our group as honed athletes. It is not something I’ve ever been described as but, thanks to the support of my amazing team, they brought me up to their level and this for me is what teams should be about. What did I learn from the 3 day crossing? * Choose your group carefully. You will only be as strong as the weakest link. * Know your goal. We all knew exactly what we’d set out to achieve and were committed to it. * Know each other’s strengths and weaknesses. You need to be open enough to let each other in and rely on each other for support. Openness about your strengths and weaknesses builds trust – it is the power of vulnerability. Do all that, and not only will you achieve what you set out to achieve, you will do it faster and more efficiently then you ever thought possible. It was day two of the trail across the Mount Cook Range – a demanding 3 day alpine trek through the Ball Pass Crossing – and the icy glacier beckoned. I was helped into a pair of crampons, attached to a rope and given an ice axe. I’m still not entirely sure what I would have done with my ice axe but, in theory, had I found myself sliding down the ice my job was to slam my full body weight onto the axe and into the ice so that I could stop myself. I think to be honest it was at that point that I knew my life was in the hands of my group. It’s a humbling feeling to know that you are now dependent on everyone around you – acknowledge that you don’t have the skills to save yourself. I also didn’t have the skills to save anyone else should something go wrong. The only thing I could do was sit. And, fortunately, that was all I was instructed to do. If one of the group fell into a crevasse, I was told to immediately sit down and dig my crampons into the ground so the other 4 of us would hold the poor person who fell into the crevasse while our guide would pull them out to safety. 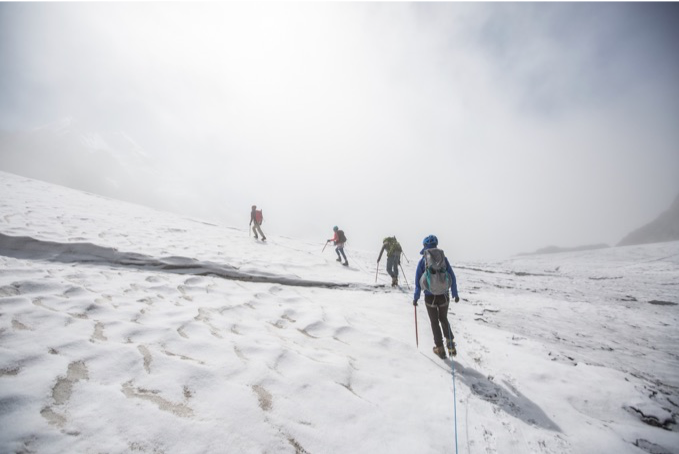 I was desperately hoping that that person would not be me, but the reality is that my falling into a crevasse would be best case scenario because the others were better equipped to pull me out than I was them – I realised, with mixed feelings, that I was not only the safest person in my group, but that my greatest risk was myself. The only real thing I could see going wrong was the danger of me impaling myself with my ice axe in a fall. Other than that I was totally safe. If I fell my team would easily pull me out. This was a foreign sensation for me. I’m someone who generally feels pretty capable. I know how to look after myself. I’m pretty resilient and more often than not I think I tend to look after the people around me. However here on the glacier, I had to acknowledge a different position. I had to put all my faith in everyone around me. I had to believe that if something went wrong, they would save me. If there was a real risk when would I be left behind? If this was a business team in what situation would I be dumped from the group? Was my position as the weakest link a real risk? But the difference between a business team and the team crossing a mountain is that losing someone isn’t an option. No one was going to leave me there. We’d picked our team and now we were in this through thick and thin. No one gets left behind. At any point the group dynamic can change and a new person could become the weakest link. We all know that. In life the unexpected might be a chronic illness, a divorce or a new baby. All of which may change the dynamic of your team, reducing someone else to the role of the weakest link. Do the team drop them? Or do they support them? Do they surround them to make sure they feel safe in their vulnerability, knowing that they will bring other strengths to the table at a later time? How often do we drop people for not being at the top all the time and how much do we lose as a result? How satisfying is it to make it to the end knowing you left people behind along the way? What kind of a person would that make you? Isn’t the real goal to all make it to the end? Business moral: I would argue that the strength of our team came from the loyalty and patience of each of us to the others. I was faster crossing the terrain than I otherwise would have been because I knew I could trust those around me. I could be open about my fears, and know that I wasn’t being judged. This brought out a strength in me – the power of vulnerability – to go further and faster than I ever would have believed possible. Steve Jobs said marketing is about values. But actually, values are more than marketing. At the launch of the Apple marketing campaign ‘Think Different’, Steve Jobs said, “Values and core values, those things shouldn’t change. The things that Apple believed in at its core are the same things Apple stands for today”. Apple’s ‘Think Different’ campaign was about honouring people who think different and move the world forward. But so many leaders fail to move even the company forward. One of the main reasons for this is that they’ve lost their core values or no longer refer to them as the lodestones they once were. Most of us will be familiar with Aesop’s fable about the scorpion that asked the frog to give it a lift across the river. The frog is hesitant, fearing the scorpion will sting it. 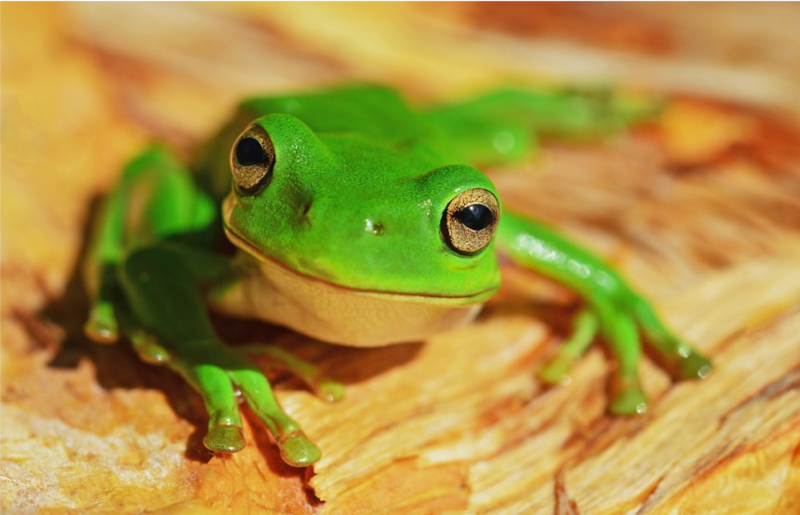 But the scorpion argues that if it stung the frog, they would both drown. So, reluctantly the frog carries the scorpion across the river. Halfway across the river, the scorpion stings the frog, dooming them both. When the frog asks the scorpion ‘why?’ The scorpion shrugs and says that it was in its nature to do so. People are appalled by the gloomy pessimism of this fable, and that’s because we are not guided, or motivated or compelled by instinct like the scorpion. We are led by reason. Earlier, I referred to ‘values’ as a lodestone, which in Middle English means ‘course stone’ or ‘leading stone’ – it’s a good metaphor for how values-led businesses will always know true north. Without them, companies become lost because companies are the sum total of their people and people are ‘reason seeking creatures’ – we need a ‘why’, and we respond best when we have an over-arching purpose. Steve Jobs went on to say that, “this is a very complicated world. It is a very noisy world. We are not going to get a chance to get people to remember much about us. No company is. And so, we have to be really clear on what we want people to know about us”. He concluded that advancing Apple was not a matter of talking about speeds and fees and why Apple is better than Windows, but about Apple’s identity, as defined by its values. “What is it that we stand for? Where do we fit in this world?” he asked. “What we are about isn’t making boxes for people to get their jobs done. Although we do that well. Apple is about something more. Apple, at the core, its core value, is that we believe that people with passion can change the world for the better. “Those who are crazy enough to think they can change the world are the ones that actually do,” he said. Apple’s mission was clear; to enable people with passion who wanted to change the world. Jobs acknowledged that Apple had changed completely from when it first started out, but values remain – your true north. Your company and your plans will change, so will your people, but your values can remain consistent. To help companies stay on true north even when circumstances change, I invite you to download and read our free eGuide on why transformations fail and in particular, why no plan survives the first contact and what to do about it. Have you ever experienced an organisation where all the employees are motivated? Where they are creative, innovative, problem solvers? Where they are aligned with why they do what they do, and where they get out of bed every day because they’re excited to be a part of it? 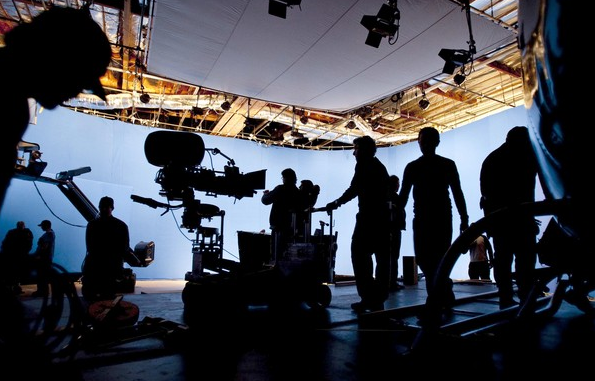 During my 20s, I worked on film sets and it was a constant source of amazement to me that hundreds, sometimes thousands, of people would work together so seamlessly. They knew exactly what they were doing and when to do it. They would sweep through a film set – moving, creating, building – in complete silence. It is simply fascinating and mesmerising to watch. On that particular day, I was a lowly stand-in (the person who fills in for the lead actor when they go to have their make-up done), but when I sat down at the table and picked up the menu, I was blown away. Someone had taken the time and care to not only create the menu, but to fill it with delicious food, amazing images and in between the lines of print were little jokes for the reader. It was the most amazing menu I have ever read, and no one would ever read it but me. So, why did some lowly set designer take all the time to do all that detail? I’ve come to realise that the answer is simple. 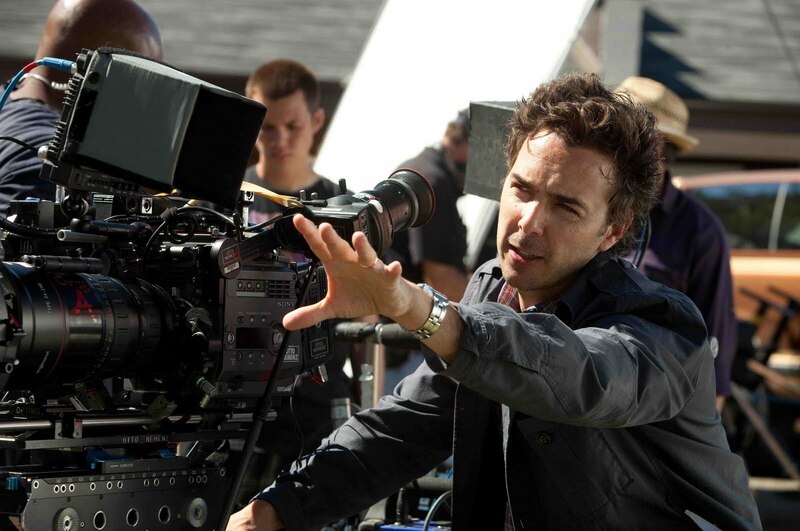 Film makers are story tellers and every person employed on a film set believes they are a part of something bigger. They are a part of the story that they are creating. Most companies will tell me that they don’t do anything as exciting as making movies, but I would beg to differ. I don’t work in the film industry anymore. These days we make corporate transformation, internal communications and training videos because I wanted to bring that storytelling culture to corporate business. I wanted to help businesses capture something of the culture of being part of a bigger story because I believe it’s through the workplace that we can begin to make not just our lives, but the world, into something better. Business has the power to do good things like educate people about their finances, change the eating habits of the population and reverse global warming – not Governments, but business. Companies, corporates, SMEs and even the not-for-profit industry can learn a lot from Hollywood. Rather than dismissing story as a medium that ignores the facts and figures, businesses would be well served by looking to the art of storytelling as a way to inspire staff, customers and society as a whole – to see it as a way to connect the business and its people to real purpose, and in so doing give our employees the courage to act, and to set teams up to succeed. Last week as an Old Rugbeian – I attended Rugby School in the UK, to which the game of rugby owes its name – I was asked to take part in a celebration of Rugby School’s 450th year by ‘passing a Rugby ball’ that is being passed around the world by Old Rugbeians and a variety of sporting celebrities including Jonny Wilkinson and Sir Ben Ainslie. Putting aside the ‘Global Pass’ – imagine that, 450 years! 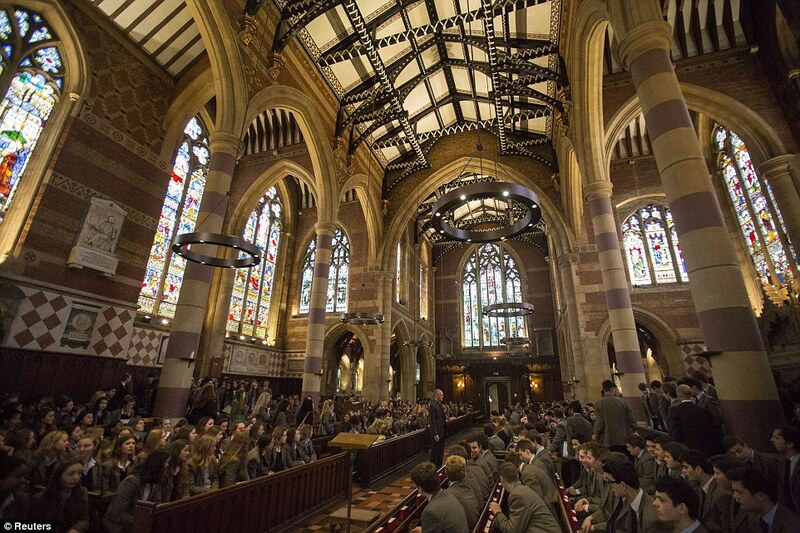 Rugby School is effectively a business that has been around for 450 years. Not having had much to do with the school since I left, this actually got me thinking. What are the elements that surround an establishment that lasts 450 years and how is it still steaming full speed ahead? I’ve always felt a little embarrassed about the associations with private boarding schools and that I was given such a privileged start in life. That my parents sacrificed so much to give me the education they did. I know they chose it because they believed unequivocally that the best thing they could give their children was an education that would develop our minds, teach us to ask questions, look for answers and that we would use those skills to contribute. 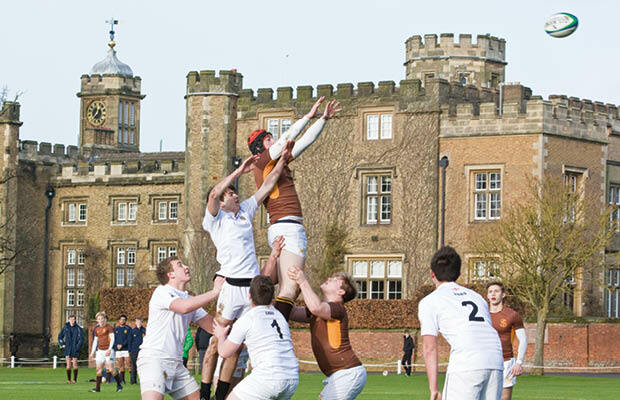 Are values the reason for Rugby School’s longevity and success? Are those values what the school was about? Is that why it has lasted? As a business, does Rugby School actually provide real, tangible benefits to their ‘customers’ and the world at large? Or is it really just about the old school boy network, as I so often hear? Can a business survive for 450 years if it is simply about making profit and networking with the elite? So, for the first time in my life I decided to explore some of its history. What I discovered I found fascinating. Rugby School was established in 1567 by Lawrence Sheriff and is one of the oldest independent schools in Britain. To be honest its first 100 years seem pretty fraught with a variety of disputes so there’s hope for some of us. Clearly strong forces don’t always get going right from the start, but it started to get on track from about 1667 when the structure of the school appears to have stabilised. However, it clearly wasn’t always smooth sailing from here. I can’t find out why the boys rebelled with such force but it’s something of a dramatic story. However, there was also good news, most relevant to New Zealanders. In 1823, a local lad William Webb Ellis, was attributed with the following act, “with a fine disregard for the rules of football, took the ball in his arms and ran with it, originating the game of rugby football”. 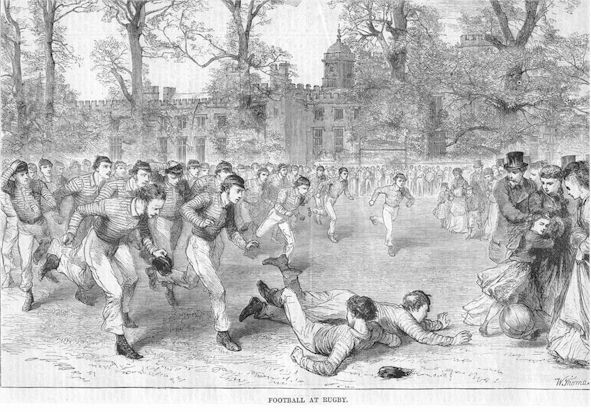 While this isn’t exactly based on fact, it was Rugby school that first established the official rules to the game and the game owes its name to Rugby’s version of Football. Rugby Football. What I love about this story is that no one seems to have had an issue with Webb Ellis’ “fine disregard for the rules”. Rather they seem to have accepted the new rules, accommodated them into their rule book and moved on. How readily do we accept change and take a good idea and run with it? How often do our leaders allow their people to change the rules of the game, leading to innovation? Or do we hold them back and say, “No, that’s not how it’s done”. Without this acceptance for a change in the way the game was played, New Zealand might be playing soccer and not Rugby. However, the school really came into its own when Dr. Thomas Arnold became the headmaster (1828-1842) Arnold was an idealist, but he was also very practical. What intrigues me about him is that he was following the principles of business that we talk about today. He had a vision that he wanted to achieve, which was to create the ‘Christian Gentleman.’ He upheld three principles/values, by which he expected things to be done. They were ‘religious and moral’, ‘gentlemanly conduct’ and ‘academic performance’. What he knew was that education was about transforming lives. He was guided by purpose, and not profit. In Stephen’s Fry’s role of Thomas Arnold in the movie adaptation of, ‘Tom Browns School Days,’ he addresses the longest serving masters of the school (the equivalent of his leadership team) and tells them of his vision to turn the boys from their gambling, bullying, racing horses and alcohol brewing into ‘Christian Gentleman’. Confronting the masters, he makes it clear, “the Rugby Way will have to change” and declares that “it will no longer be a world where only the strongest and cruellest survive”. One of the master’s objects, “but they are the riotous natives and we are the occupying force!” To which he replies, “little is taught by dispute but everything is taught by sympathy and love”. It may be nearly 200 years later but has anything changed? How many leaders have a true vision? How many see their people as riotous natives? How many leaders don’t think it is their responsibility to nurture the development of their people? To strive for something worthwhile? And how many realise that the only way to achieve these results is though sympathy and love? “Much of what we know about Arnold’s ideas stem from Thomas Hughes’ version of them in his book, ‘Tom Brown’s School Days’ – out of which Arnold became something of a legend. Pierre de Coubertin first encountered the book when he was twelve years old. Inspired by what he had read, de Coubertin visited Rugby School several times during the 1880s and concluded that “organised sport could be used to raise the aspirations and improve the behaviour of young people”. This idea fuelled his vision for universal amateur athletics which culminated, in 1896, in the first modern Olympic Games in Athens. As one world expert on Olympic history says, “Thomas Arnold was the single most important influence on the life and thought of Pierre de Coubertin”. As such, it’s possible to say that this great man’s ideas lay the foundation for the modern Olympic Games. I haven’t read enough on the subject, but it would seem that Thomas Arnold’s pursuit of the ‘Christian Gentleman’ led him to realise that organised sport was a critical part of that development and, as such, it was treated with utmost importance. He didn’t just focus on academic results. He believed in the creation of a complete man and as a result his focus on organised sport led others to see the benefits that resulted in the Olympic Games. His aim was to create men of power and character and not just intellect. Men that would go out into the world and change it for the better. And it is a system that most schools follow today. What is critical about this too, is that he didn’t just tell people what to do. He listened to them and he included them in the change. As far as I can tell the man had a dream and he knew how he wanted to achieve it, which created the bases for a very strong framework. People adapted to change. They accepted new ideas when they aligned with the core vision. He listened to his people and included them in the decision making, and they often led the way in new ideas. In 1888, Rugby School was the first English Boys Public school to appoint a female teacher. And as early as 1976 they started to take on a few brave girls. By 1994, when I arrived at the school, I was one of 30 odd girls to be introduced to a year of over 100 boys. 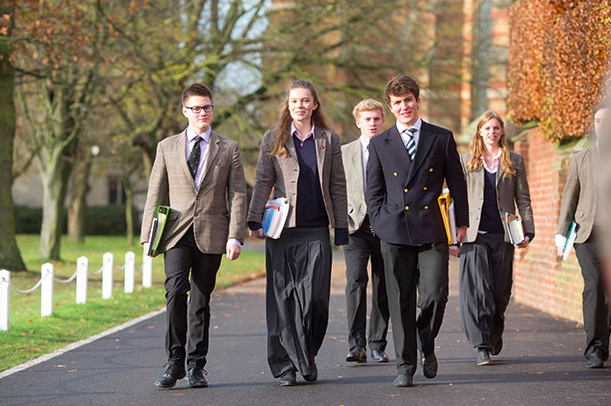 And in 2017, it’s on its way to becoming the leading co-educational boarding school in the UK with a 50/50 mix. A far cry from where it started in 1567 and yet the vision of the school is still guided by Thomas Arnold. 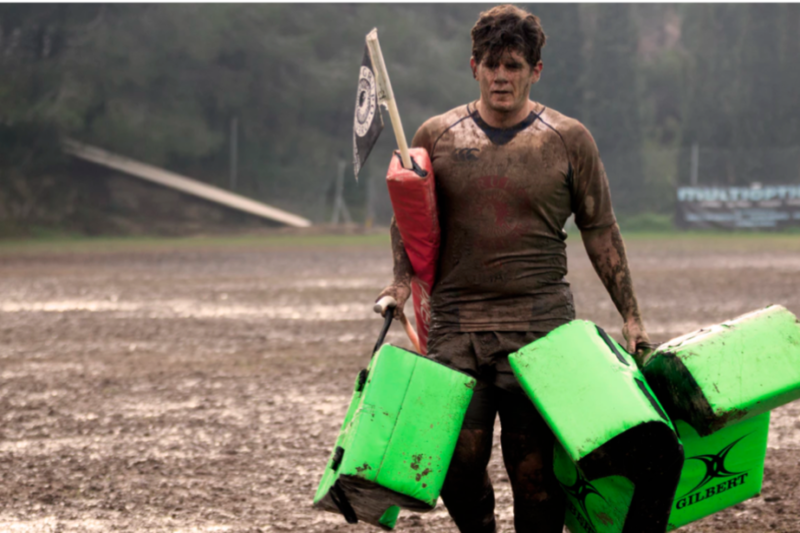 On the home page of the Rugby School website it reads. “If we have seen further, it is by standing on the shoulders of Thomas Arnold”. Nearly 200 years ago he knew that education was about transforming lives. And the school has since sought to hold onto the conviction that education is much more than the sum of educational results. Could the secret to the school’s success all stem from one man who changed the course of the school with a vision that was about something more than just profit. And nearly 200 years later, his legacy lives on through the stories told about his endeavours. Is this the secret to a successful business? I would like to add that Rugby School is a very successful business, the result of following purpose over profit; being guided by key values, adapting to change along the way, but always staying true to the vision? What I have never known until today is that my parents core vision and values for their children aligned with Thomas Arnold’s vision for the school. It’s why my parents invested an enormous amount of money into the school. It is the vision I uphold for my own children today and now –a terrifying and daunting thought – I might need to find the strength to live up to it! 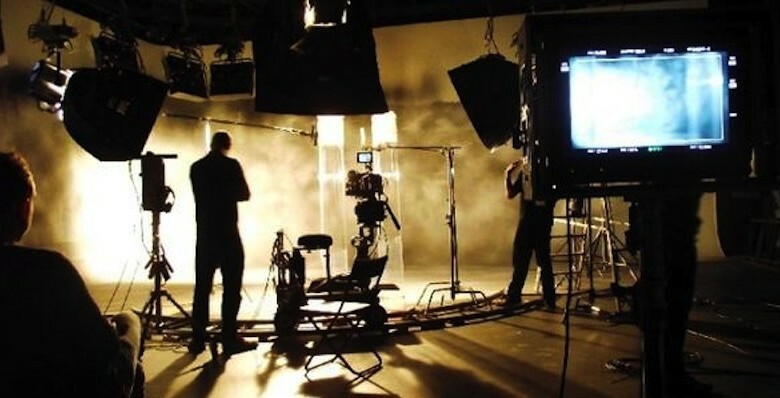 That vision is one of the reason’s that we founded Real-TV, a unique video production company in the business of helping business leaders and CEOs bring about change and transformation. We call ourselves an Inspiration and Communications Agency, because we use real stories to inspire your people through video, consulting and workshops – but vision and the conviction to lead the change? Well, that starts with you. I’ve written a short e-guide on ‘Vision’ for companies. 🙂 Click here to download: “How to inspire your employees and get them excited by your company vision”.